India is set apart from the rest of Asia by the Himalayas; its roughly triangular peninsula defines the Bay of Bengal to the east, the Arabian Sea to the west, and the India Ocean to the south. It is a large and fascinating country full of changing landscapes which can only fully be appreciated by overland travel. Motorhome hire is available throughout the country and is a wonderful way to take in the atmosphere and culture of this incredible land. With so much to see and do the flexibility of a motorhome will allow you to set your own pace and take it all in. India holds virtually every kind of landscape imaginable and a motorhome is a great way to see them all. An abundance of mountain ranges and national parks provide ample opportunity for eco-tourism and trekking which blend well with motorhome hire. 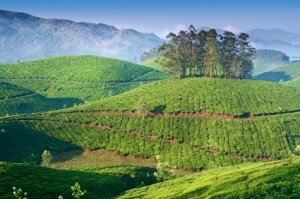 From north to south India extends a good 2000 miles (3200 km), and varies a great deal in terms of landscape and wildlife. India is the home of the sacred River Ganges which can be followed to its source in a motorhome adventure. The Himalayas, the world’s highest mountain range, dominate India’s northern border and India is home to many Himalayan foothills in the North.Offering spectacular opportunities for those motorhome travellers wishing to escape from civilisation, North India is the country’s largest region, beginning with Jammu and Kashmir, their terrain varying from arid mountains in the far north to the lake country and forests near Srinagar and Jammu. Moving south along the Indus River, the roads become easier for motorhomes and the North becomes flatter and more hospitable, widening into the fertile plains of Punjab to the west and the Himalayan foothills of Uttar Pradesh and the Ganges river valley to the East. Sites to see along the way include the spectacular golden temple of Amritsar with its golden dome and sacred lake as well as the Buddhist town of Dharamsala, home to the exiled Dalai Lama. The county’s capital city, Delhi offers motorhome travellers an exciting and vibrant experience which is a little rough around the edges in terms of the road network. The TajMaha is located in Agra and stands as one of the world’s most famous landmarks. Built by Mughal Emperor Shah Jahan in memory of his third wife, Mumtaz Mahal it stands as a symbol of eternal love and is an un-missable site for any romantic motorhome travellers who visit the area. A common destination for many motorhome holiday makers is the historic state of Rajasthan containing a multitude of castles and temples that travellers have come to expect from India. Rajasthan is vibrant and magical with a rich heritage, colourful culture, exciting desert safaris, shining sand-dunes, amazing variety lush forests and varied wildlife – makes it a top motorhome destination. There are incredible destinations for the outdoor-tourist, drive your motorhome where you want and take a safari on horses, camels, or elephants with the Aravalis – India’s oldest mountain range as the backdrop. If wildlife is what you are seeking from your motorhome holiday than take the tiger trail, or bird watch in the wetlands. India reaches its peninsular tip with South India, which begins with the Deccan in the north and ends with Cape Comorin. The states in South India are Karnataka, Andhra Pradesh, Tamil Nadu, and Kerala, a favourite leisure destination perfect for motorhome travellers. Follow pilgrims and visit the temples of Guruvayoorappan, Meenakshi and Tirupati Tirumala Balaji, the perfect way to soak up Indian culture in your motorhome.